Still Looking for a Job? Check Out These New Positions! The Northwest Justice Project (NJP) is hosting an Employment Opportunity Legal Corps (EOLC) Fellow sponsored by Equal Justice Works and the Corporation for National and Community Service/AmeriCorps. The EOLC Fellow will focus on removing legal barriers to employment facing economically disadvantaged individuals, including but not limited to, legal assistance with vacating/sealing eligible criminal records, revocation/denial of occupational licenses, and driver’s license suspensions. The EOLC Fellowship will target low-income and economically disadvantaged communities in Southwest Washington, including Grays Harbor, Pacific, and Lewis Counties. The AmeriCorps Fellow will be a full-time attorney based in NJP’s Aberdeen, Washington office. The attorney selected for the Fellowship will work closely with NJP’s Coordinated Legal Education, Advice and Referral system (CLEAR), NJP field offices serving the region, and will also work in collaboration with local social service providers and Pacific Mountain Workforce Development Council to identify and target barriers to employment in the service area. Public Citizen Litigation Group, a public interest law firm in Washington, DC, is seeking two summer law clerks for the summer of 2015. The Litigation Group is a division of Public Citizen, a research, lobbying, and public advocacy organization founded in 1971. Our areas of practice include federal health and safety regulation, access-to-courts issues, consumer litigation, open government, and the First Amendment. 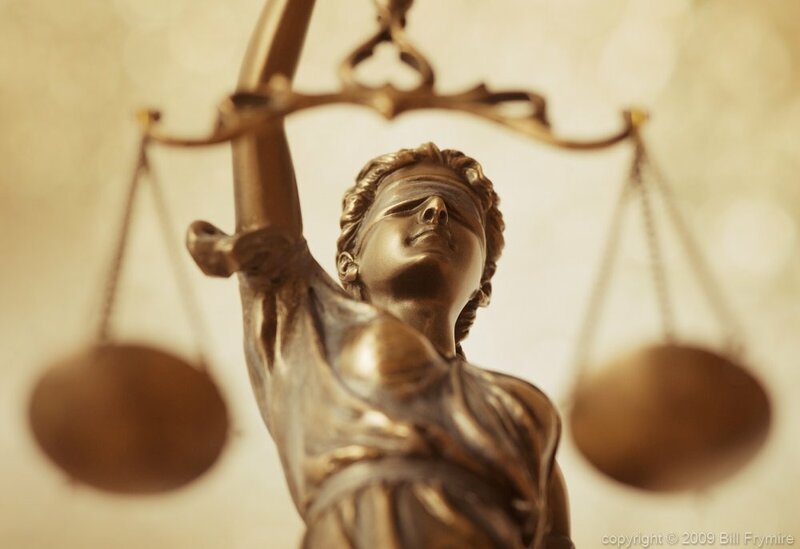 We litigate cases at all levels of the federal and state judiciaries. Litigation Group lawyers have argued 63 cases in the U.S. Supreme Court. There is one (1) opening for a permanent full-time Health Services Consultant 4 within the Washington State Board of Health. This position is part of a team of dedicated and enthusiastic public health professionals that supports the Board. The incumbent will be a Department of Health employee on loan to the Board. The Board’s mission is to provide statewide leadership in advancing policies that protect and improve the public’s health. It does this by reviewing and monitoring the health status of all people in Washington; analyzing policies, providing guidance, and developing rules; promoting system partnerships; and encouraging public engagement in the public health system. This position is citical to all those activities, particularly as they relate to environmental health and communicable disease control. It coordinates rule writing, tracks health status, analyzes policies, supports efforts to gather public input, and helps forge and maintain system partnerships. Farmworker Justice is a national organization based in Washington, D.C. that empowers migrant and seasonal farmworkers to improve their wages, working conditions, immigration status, health, occupational safety, and access to justice. FJ engages in advocacy and policy analysis, litigation, education and training, and coalition building, and has a respected national reputation for its high-quality, dedicated, and innovative service to farmworkers. The Health Policy Attorney is responsible for analyzing federal and state law and policy affecting farmworkers’ health and safety and access to healthcare, and representing farmworkers and their families in administrative agencies. The Health Policy Attorney supports FJ’s legal team in litigation and legislative advocacy efforts to ensure healthy and secure living and working conditions for workers and their families. The Health Policy Attorney disseminates policy analyses through written and oral presentations, including reports and policy briefs, website and blog postings, and conference and webinar presentations. The Attorney also provides legal and technical assistance to farmworkers, farmworker organizations, legal advocates and healthcare providers. This position reports to FJ’s Director of Occupational and Environmental Health and collaborates closely with other FJ staff. The position is in Washington, D.C. The ACLU of Washington invites applications for the full-time position of Technology and Liberty Director to lead its work at the intersection of civil liberties and technology. The Technology and Liberty Director identifies and addresses civil liberties issues arising from the use and development of new technologies. The position works closely with senior legal, legislative, and communications staff and has significant interaction with its national ACLU counterparts. The position reports to the Executive Director through the Deputy Director. The ACLU-WA’s staff of 30+ employees and numerous volunteers work in a fast-paced, friendly and professional office in downtown Seattle. The ACLU-WA is a leader in state-level policy advocacy on privacy, free speech and access issues. It has participated in law reform and policy advocacy related to geo-location devices, RFID, data aggregation, surveillance, and online free speech. The ACLU-WA is among the top affiliates of the national ACLU network. The Office of the General Counsel (OGC) is the legal team for the Department of Health and Human Services (HHS), providing quality representation and legal advice in a wide range of highly visible national issues. OGC supports the development and implementation of the Department’s programs by providing the highest quality legal services to the Secretary of HHS and the organization’s various agencies and divisions. This is a General Attorney position for the Claims and Employment Law Branch in the General Law Division. The Office is seeking an attorney with experience in federal employment and labor law. The incumbent will litigate cases before the MSPB, EEOC, FLRA and arbitrators. Other duties will include providing litigation support to U.S. Attorney Offices when cases are appealed into federal court and preparing legal opinion on all aspects of federal employment and labor law matters. For a complete job description and application instructions click here or check out the posting on Symplicity. This is a General Attorney position for the Information Law Team in the General Law Division. The incumbent will provide advice on the use, disclosure, protection of federal information for the entire Department. Specifically, the Team advises HHS agencies and offices regarding the Freedom of Information Act, the Federal Advisory Committee Act, the Privacy Act, the Paperwork Reduction Act, the Federal Information Systems Management Act, the Federal Records Act, as well as other administrative law topics, including the Administrative Procedures Act, the Congressional Review Act, and policies and regulations relating to the use of HHS logos and seals, delegations, and statements of organization. The Team also provides substantial assistance to the Department of Justice in information law-related Federal court litigations.